This post continues the retelling of my recent trip to Belize: participating in an archaeology field school and learning about jaguar conservation. It concerns the second half of June 17, 2017, which I started writing about here. 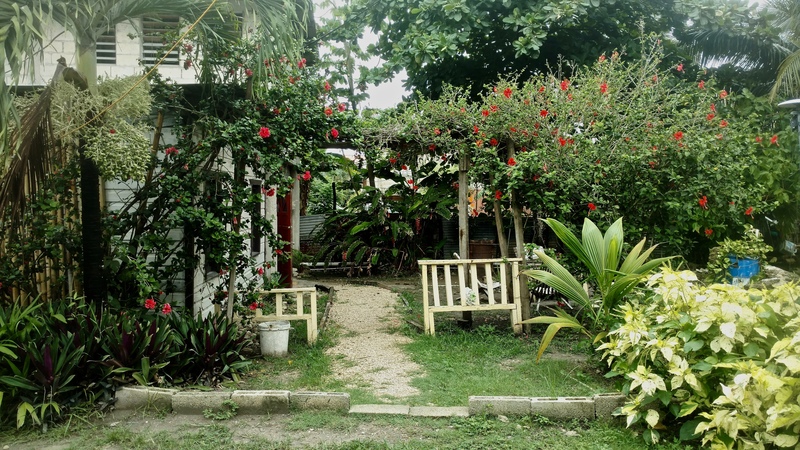 Part 1 of my June 17 post left off on the outskirts of Belize City. Following the recommendation of our bus driver, Mr. Abner Chell, my friend Jonathan and I had decided to spend the weekend in the town of Orange Walk. 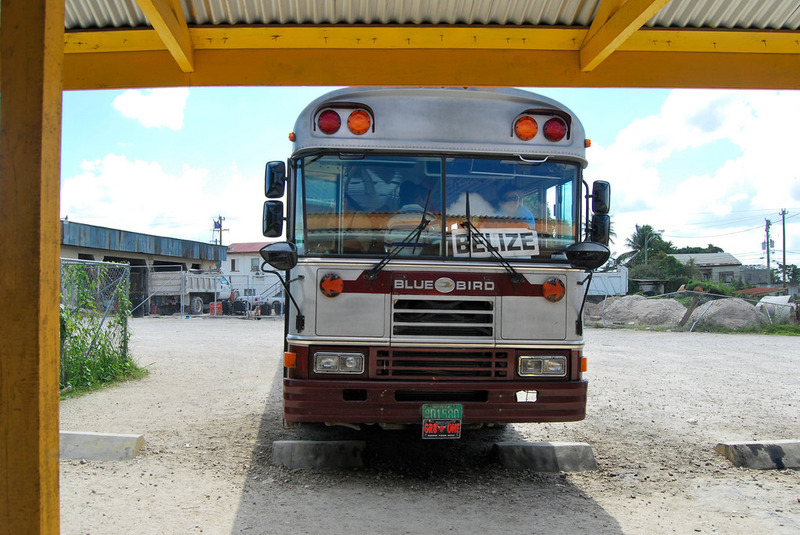 Abner was going to drop us off at his friend’s hostel, and then take us back to Belize City on Monday. At this point I was feeling very nervous about our decision to go to Orange Walk. I had no idea what this mystery hostel would be like, and prior warnings had made me wary of locals in general. Abner seemed to sense this. He opened up considerably to Jonathan and I, chatting with us informally to put us at ease. It worked – before long we were reciprocating Abner’s friendliness. Eventually Abner shared that today was his daughter’s fifth birthday, and he invited Jonathan and I to attend the party this afternoon. I could not believe that Abner would invite two strangers to his house like that, but I would soon learn that kindness was the norm in Belize. When we arrived in Orange Walk, Abner dropped Jonathan and I off at the end of a long street. 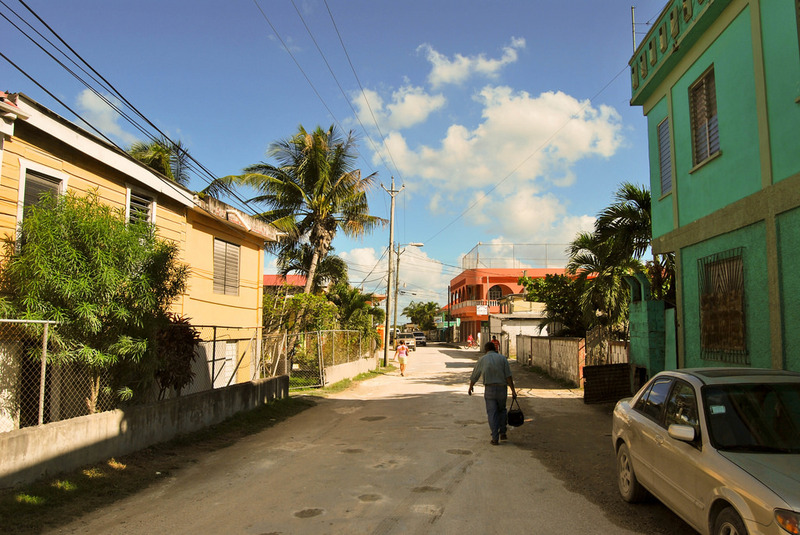 We walked down the dirt road, looking for a place called “Casa Ricky’s.” As we searched, I was struck by the bright colors of the surrounding houses; their brilliantly-painted exteriors reflected the abundant sunshine beautifully. We eventually reached Casa Ricky’s. The owner, Ricky, came out to meet us. He looked to be in his upper 20s or early 30s, and was exceptionally friendly. Ricky smiled freely as he talked, which helped to ease my anxiety. Casa Ricky’s was a godsend. I will discuss it more in the next post in this series, but it was well worth the US $17 per night. There were two buildings: a central “lodge” with a living room and a loft, and a bar whose upper floor contained several bedrooms and a shared bathroom. The bedrooms were modestly but comfortably outfitted, and Ricky led us to one that contained two beds. After a brief shopping trip to pick up easy-to-cook foods, Jonathan and I followed Ricky’s directions to Abner’s house. When we first arrived, only Abner’s sister was around. We waited for a little while, and the rest of the family finally arrived. There were about ten people in total. The dinner was excellent: consisting of rice, chicken, and other items that I sadly cannot remember. What I do remember, however, is that the party was wonderful. Abner told Jonathan and I stories about his childhood, when his father (the original Mr. Chell of Chell’s Bus Service), used to drive for the Programme for Belize Archaeological Project (PfBAP). The roads were much rougher back then, as they were all made of dirt. Driving the bus down wet, muddy, jungle roads was no easy task! The party concluded with a piñata celebration for the children. The whole affair was delightful, and it was a joy to see such a happy family. I was deeply moved that they allowed Jonathan and I into their home for this personal event, even if I had a hard time showing it. The Chells sent us back to Ricky’s with two plates stuffed to the brim with food – yet another display of hospitality. As I prepared for bed that night, I could not have been happier. After toiling in the jungle for three weeks, followed by a jarring return to ‘civilization,’ I felt as if I had found paradise. Trusting Abner was definitely the right decision. I’m glad you didn’t regret your decision. It was really kind of Abner to invite you guys to his place, it’s so interesting to get an insight of how locals live :) also, it’s great he facilitated your return to civilisation. looking forward to reading the next part of your journey abroad! Thanks Monika! Abner was a great host, as was the rest of his family. I experienced A LOT of kindness from locals in Belize. It really is! Meeting great people is the best part of traveling, if you ask me.